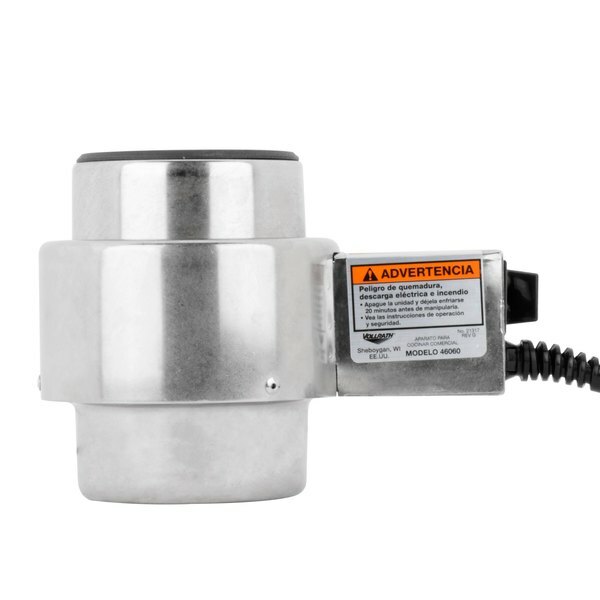 Eliminate the hassle and expense of chafer fuel by using this Vollrath 46060 universal electric chafer heater. Keeping up with your buffet service is hard work, and ensuring that your food is kept at the proper temperature shouldn't add to the stress! This electric chafer heater eliminates the costly expense of sternos and chafer fuel, so you can channel your finances elsewhere. 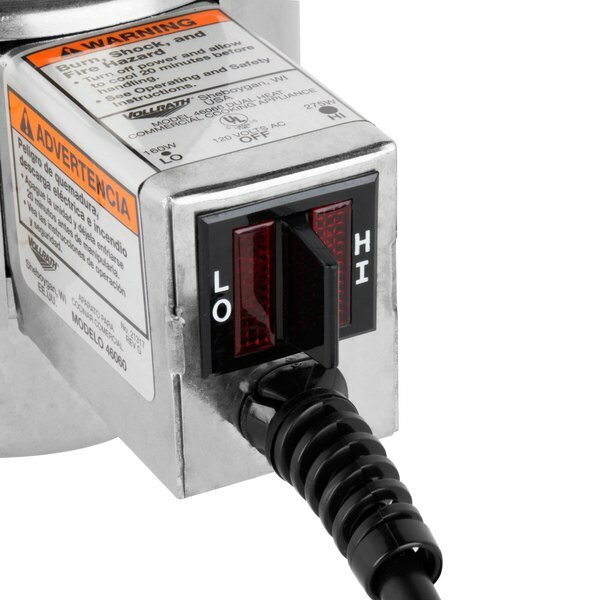 It requires a 120V electrical connection for operation. 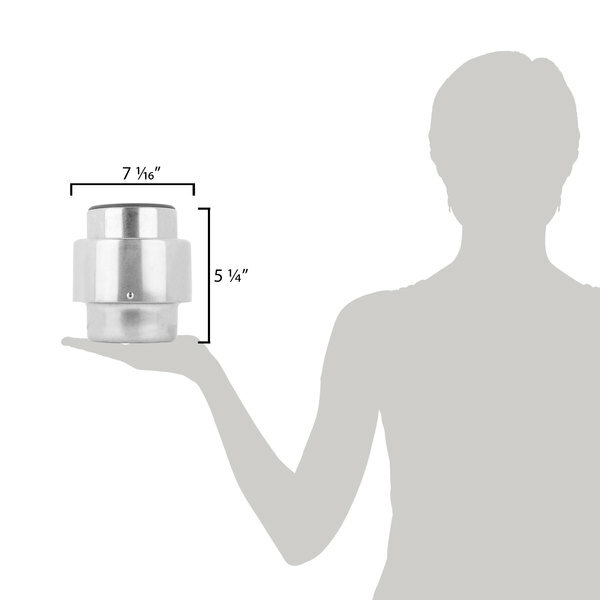 "really, really great way to keep chafing dishes hot. If you have the capacity to fuel a whole buffet line with these, do it. it will take a while, but it will save you money and they don't need replacing half way through an event!" 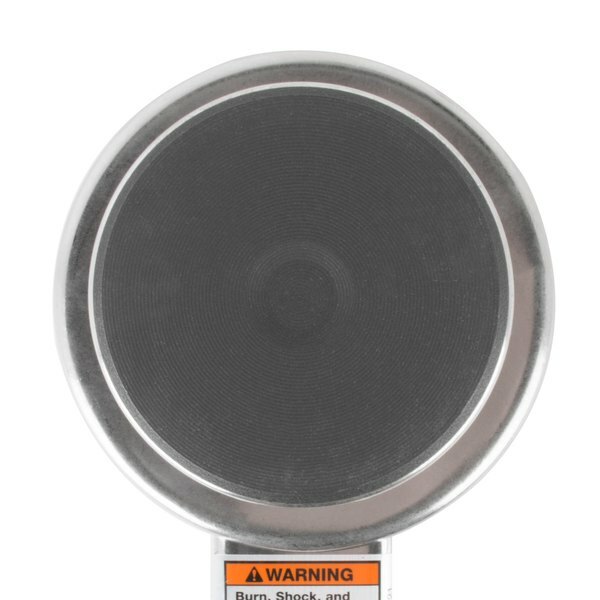 This heater is designed to maintain the proper serving temperature without an open flame, keeping your wait staff and customers safe during use. This electric chafer heater has two power settings (low and high), and a lighted switch that glows when the heater is on. 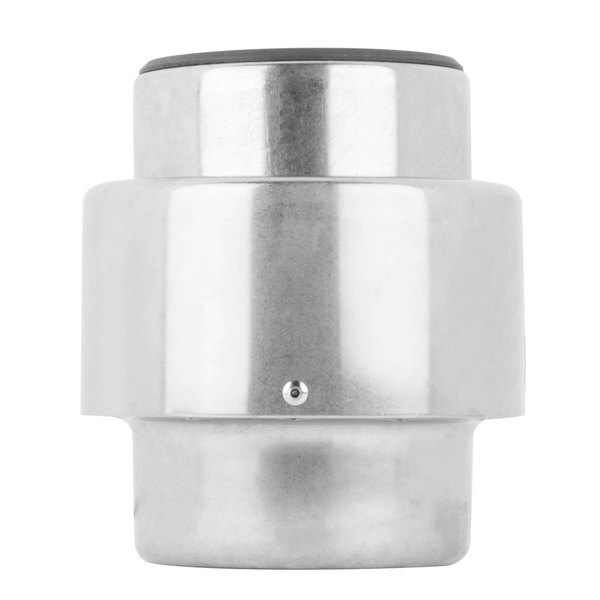 This heater is perfectly sized to fit standard fuel cup openings, and the spring-loaded elements maintain full contact with water pans for efficient heat transfer. 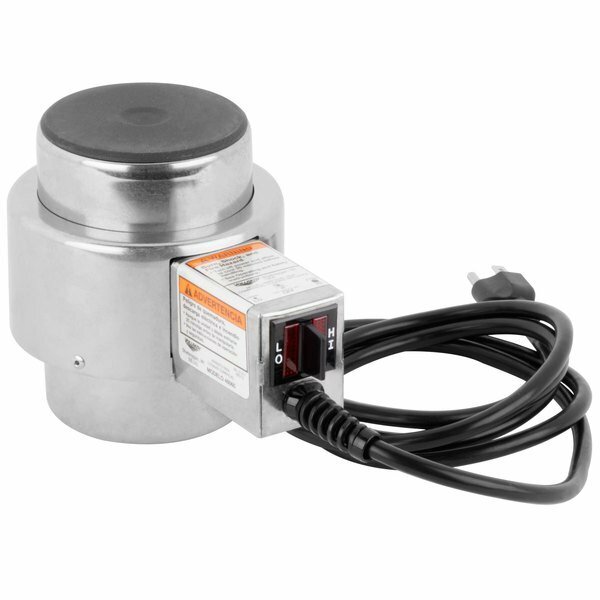 Additionally, only 1 chafer heater is needed for a full size chafer if the temperature is set to high and the water level does not exceed 1/3". 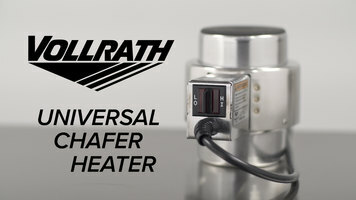 Check out the flameless chafer heater option from Vollrath! 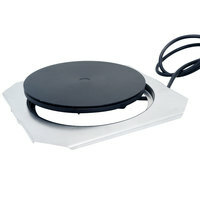 Simple to use, this electric chafer heater will keep your foods hot and your presentation safe. 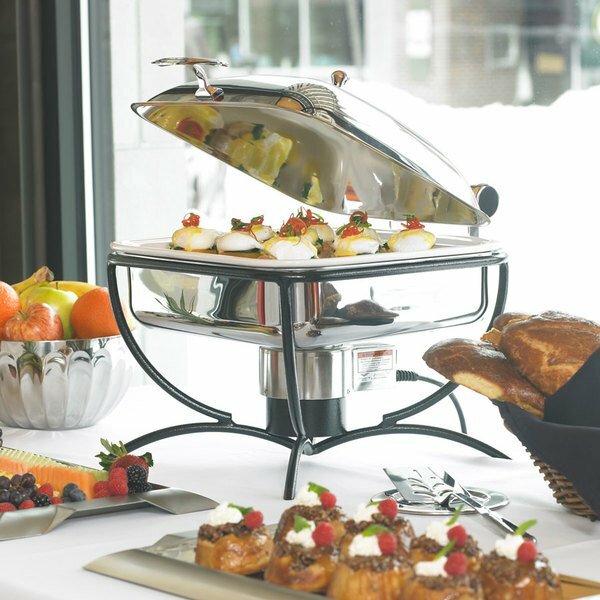 If open-flame chafing fuel is not an option in your venue, then the Vollrath universal chafer heater is the perfect solution. Simply position your chafer stand on a flat, sturdy surface, and then place the heater directly on the fuel shelf. Insert an empty water pan into the stand. The spring-loaded top will press into the bottom of the pan. 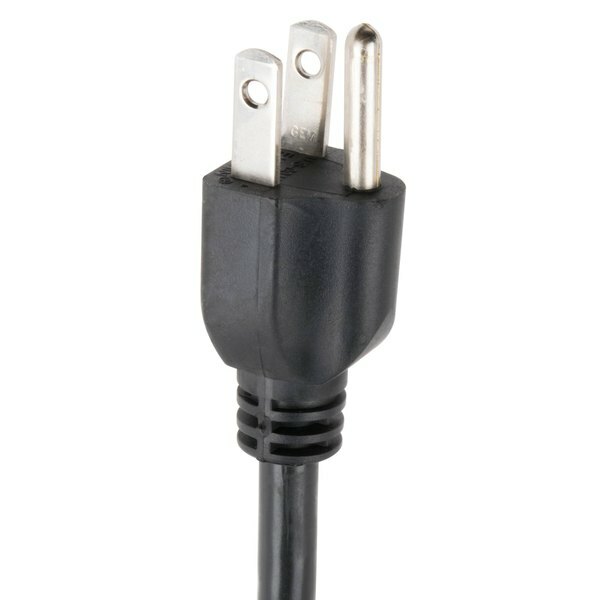 Fill the pan with fresh water per the manufacturer instructions, and then use the cord to plug-in the heater. Cover the water pan and flip the switch on the heater to HI, allow the chafer to preheat for 45 minutes. After preheating, place a full pan of hot food into the chafer, and replace the lid. 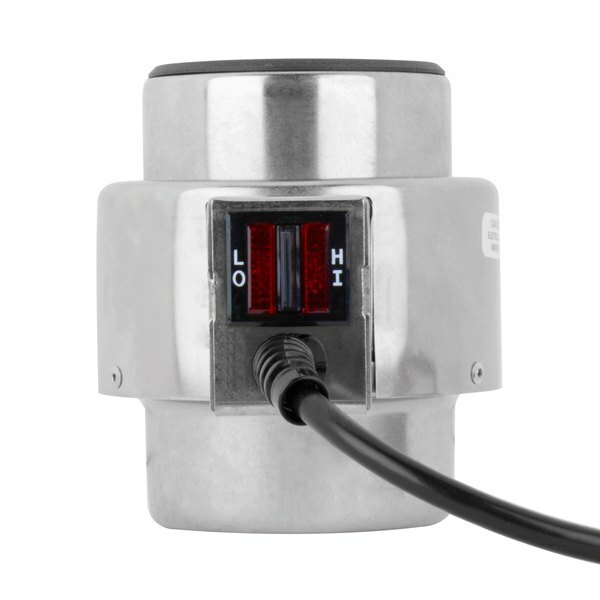 Without a single flame, this electric chafer heater is the perfect alternative to traditional chafing fuel. We purchased this to replace one that had gone bad. It arrived promptly and installed really easily. We were happy to be able to purchase this separately, it saved a lot of money not having to replace the entire chafer. Not as great an item as I had hoped. The base is really large and doesn't fit in all chafer holes. It is handy to have it all in one piece and heats very quickly. This unit is quite expensive and it never really kept the chafer hot. I used it for 2 weeks and had to purchase a water pan. Thank you for your review! We're sorry you did not like this product. Please contact our Customer Solutions team if you have questions or if you would like product recommendations. Works really great for our Buffet. Heats up really well. We tried the alternative, less expensive Chaffing Heater made in China with no success. This was the better way to go. Great alternative to flame sternos and much safer. Seams to do the job just as efficiently. Also great as a back up when needed, especially for places that don't allow fire. really, really great way to keep chafing dishes hot. If you have the capacity to fuel a whole buffet line with these, do it. it will take a while, but it will save you money and they don't need replacing half way through an event! This electric chafer heater is great! We bring this to all our catered events. It's brillant for out door use because the wind can't blow it. Great deal! !